I struggle with the whole “work-life” thing. I’ve never been good at moderation. Typically, when I do something I go full-bore – if I’m focused, I’m VERY focused. If I’m procrastinating, I am REALLY procrastinating. Seriously. I rock at procrastination. For many, this is a familiar feeling. We struggle with the demands of work. We struggle with the demands of home. Hell, we struggle with the demands of a DVR backlog that just keeps growing. It’s the little things that throw us off. 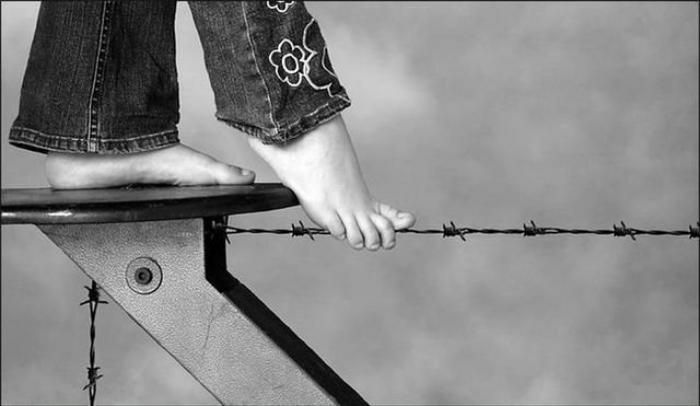 The only thing that really helps keep me sane is knowing that MOST people struggle with balance. Leaders struggle to balance likability and accountability. Employees struggle to balance face time and results. We all struggle with something. Overwhelmed. Stressed. Frustrated. Burned out. The stress of trying to maintain this balance impacts our health – so much so that sites like WebMD and the Mayo Clinic include tips on how to manage our lives. The challenge with finding balance is that it is so specific to each person and where that person is in his/her life. Work-life balance for a single person just starting out might mean working long hours and never unplugging, answering emails at all hours of the night – even when on vacation. Work-life balance for a new parent might mean leaving right at 4:00pm every day, spending time with the kiddos, and then logging back in late at night to finish up…or even having the chance to work from home when possible. You can switch those two scenarios and STILL be right. Because balance isn’t something you dictate to someone else – it’s something each person must find on their own. As leaders, the best we can do is help our people find their balance while still achieving expected results (and results shouldn’t always require face time). This means setting realistic, adaptable goals; learning that setting all priorities to “high” is not practical; and accepting that life happens to us all. Leaders should remove obstacles – not create them. As employees, we can help ourselves by communicating our needs for balance, setting boundaries, and working with our leaders to find ways to ensure the work gets done without going insane. This means getting our work done in a timely fashion with high quality; being present when we are at work; and NOT taking advantage of our teammates who may have different definitions of work-life balance. Employees should provide suggestions – not excuses. Get moving: I am not what I would call an “exercise lover”, but I do notice lower stress and better energy when I have a regular exercise program. So I do my best to run, work out, walk around, whatever it is. I’m hoping my new Up24 helps keep me on track in this respect. Get organized: I’m pretty organized…but I don’t always act on that plan. Because I can be so busy I end up doing nothing, I need to use my love of to do lists to my advantage. Save my best for home: I’ve heard this from several colleagues – we give our all at work…to the point we are completely spent when we are with the people we love. Work will get what it needs to get done, but my “real life” deserves more. Choose unbalance when it makes sense: As author Alain De Botton once said, “everything worth fighting for unbalances your life.” The operative word here is choose. Moving forward, innovation, change – all of these require some manner of unbalance, and I will decide when that’s the best path. Do more stuff I enjoy: I like writing. I like reading. I like chatting with my network of online friends. I like saving baby pandas on my iPad. I like going out to eat and having fun. I want to do more fun things, and fewer things I “have” to do. This is my motivation to do everything else on this list. This isn’t everything I’m working on to find my balance, just a sample. But it’s a start. How are you finding balance in an unbalanced world? Share in the comments!